Here’s our Newsletter from 22 November 2018. If you’d like to receive our weekly Newsletter into your inbox, just sign up here! // Now open: The Salford Makers Pop-up Shop is situated on Chapel Street close to Islington Mill and Salford Cathedral. Open Wed–Sun, the shop sells beautiful wares from the Salford Makers collective, including unusual lighting and accessories that will delight at Christmas. Find out more. // 2 December: 7 Spot Pottery Christmas Market. 7 Spot are a ceramic studio at the Mill who produce diverse ceramic art and teach popular classes. On the 2 December they will host an open-studio market selling a wide variety of work from the 10 artists based there. // 2 December: Why not make a day of it and take in a second pop-up Xmas shopping event at Common. The Odd Bod Art Market includes stalls from Mill artists and many other independents, selling original art, textiles, prints and much more. // 6 December: The big one! 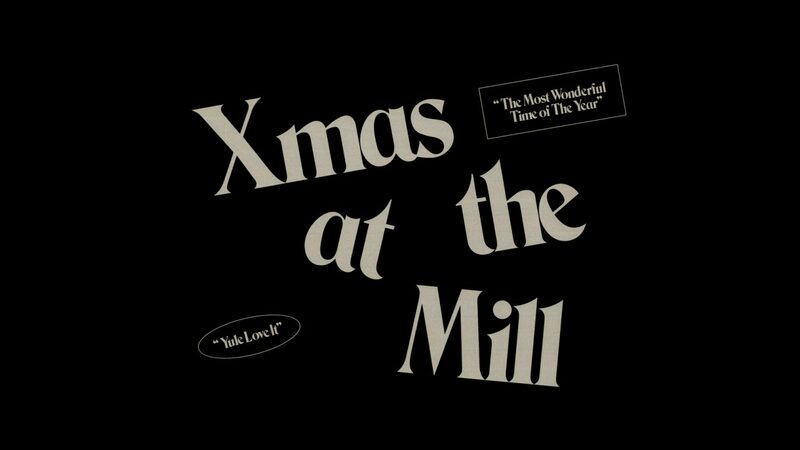 Xmas at the Mill will take place in our fantastically refurbished warehouse at Unit 4, Regents Trading Estate. The full list of stallholders is here. Something for everyone including yourself! // Plus, if you feel like making gifts yourself, there are excellent making workshops from Salford Makers this side of Christmas. Or why not give one of the workshops as a gift and produce your own beautiful work with a friend? // 29 Nov: Cinema Paradiso is a night of expanded film, video and experimental sound performance to launch HOME’s Artist Film Weekender. impaTV join artist Andrew Brooks for new collaborative work alongside local and international artists at Salford’s Paradise Works. // 1 December: To close the ‘21st Century Sleepwalk’ show at Caustic Coastal, artist Emma Talbot will present a tour and talk. // 5 Dec: Islington Mill Art Academy present ‘Show, Tell & Plot: Artists respond to Brexit’. This free public session is an opportunity to discuss possible artistic responses to Brexit. What have you done, what are you doing and/or what would you like to do in response to ‘Brexit’? Join us.